Designer custom made granite tables and hand forged steel granite table bases made in the US. More like works of art, these tables are one of a kind with no two the same. Rare stone and interesting design make these tables unlike any others. For available edges see – Granite Table Edges. See all tables at the Granite Table Store. What do granite table colors tell you about quality? 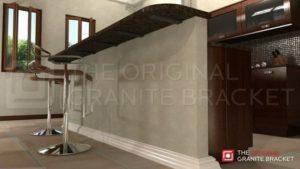 What’s the best granite table edge? Are your granite tables sealed?